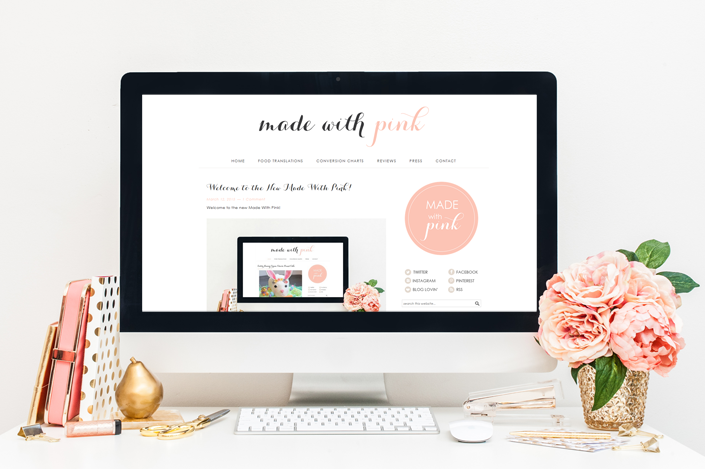 We were delighted to have the opportunity to work with Andrea of Made With Pink on her custom blog design. 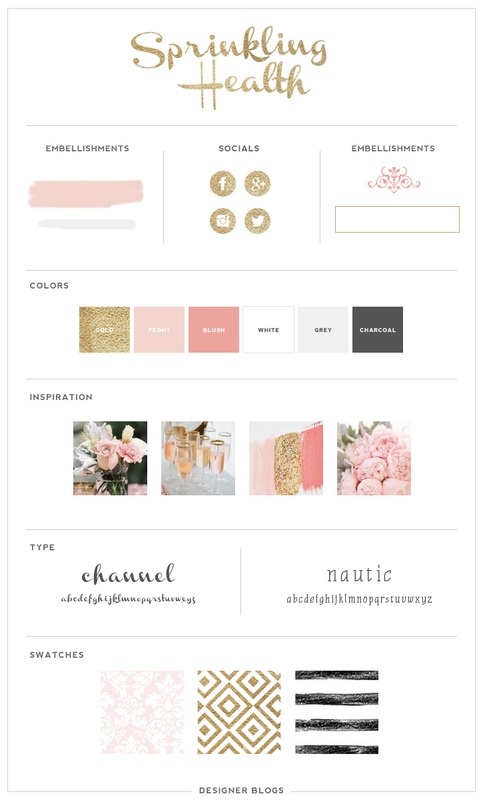 Andrea named her baking and dessert blog Made With Pink because all of her kitchen and baking equipment is pink. Such a cute and clever title! Her blog compares the differences between baking in North America and the UK, all while doing it with pink. Spend just a few seconds on Andrea’s blog and your mouth with start watering because her recipes and photos look so unbelievably delicious! These enticing Salted Caramel Dulce de Leche Cheesecake Bars are just a taste of the delectable recipes you’ll find on her blog. Andrea was a lot of fun to work with. 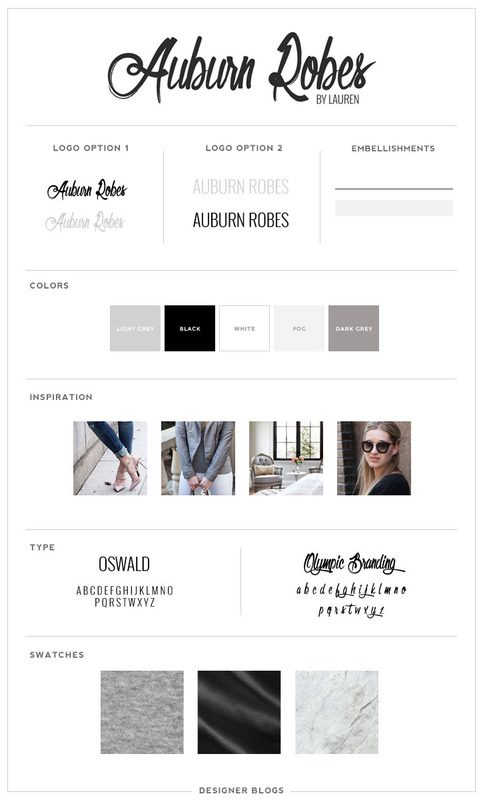 Her initial order stated that she liked clean designs with a lot of white space. Immediately, I knew her design was something I was going to love working on. 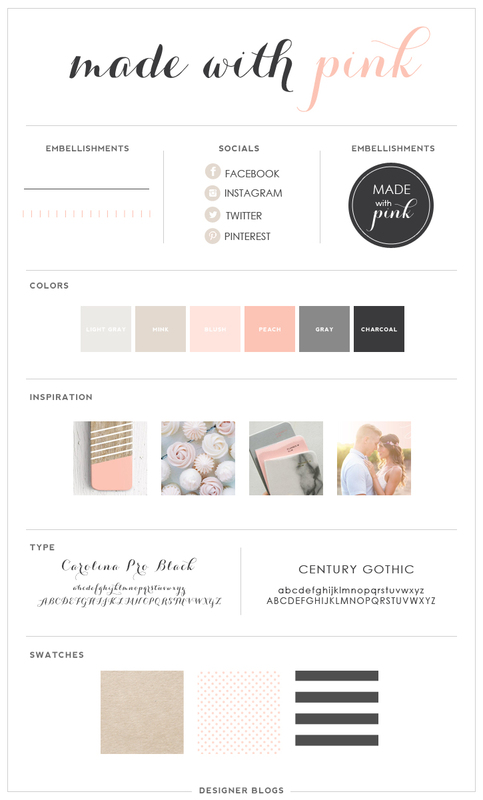 The moodboard was so much fun to create. Everything seemed to fall into place, and I loved that Andrea threw in her design opinions as well. She knew exactly what she wanted, and we worked together really well to create a blog that highlights her amazing skills in the kitchen. Definitely check out her blog, when you get a minute. Everything Andrea touches turns out flawlessly. I’m so happy I had the chance to work with her. “For the past couple of years I’ve wanted to overhaul my site by moving it to WordPress and giving it a bit of a facelift. 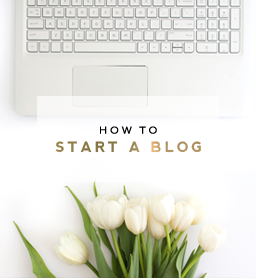 I’d fallen out of love with my old blogger site, so much so that I couldn’t bear to publish another post on it. Mainly because whatever I published on the old blog, meant also needing to transfer it over to the new blog. A prospect that terrified me. Throughout the past year or so I’ve dabbled in designing a new layout myself, and trying to understand the complex process of unlocking domains, transferring content, fixing links, and transferring name servers. I wasn’t getting anywhere fast. 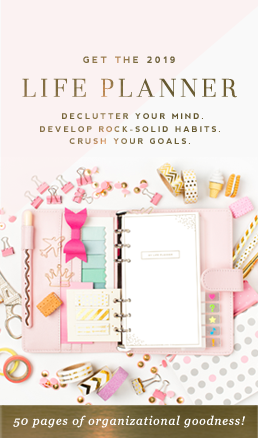 In the end, it was a thoughtful Christmas present from my husband that finally led me to hire Erika S. over at Designer Blogs. 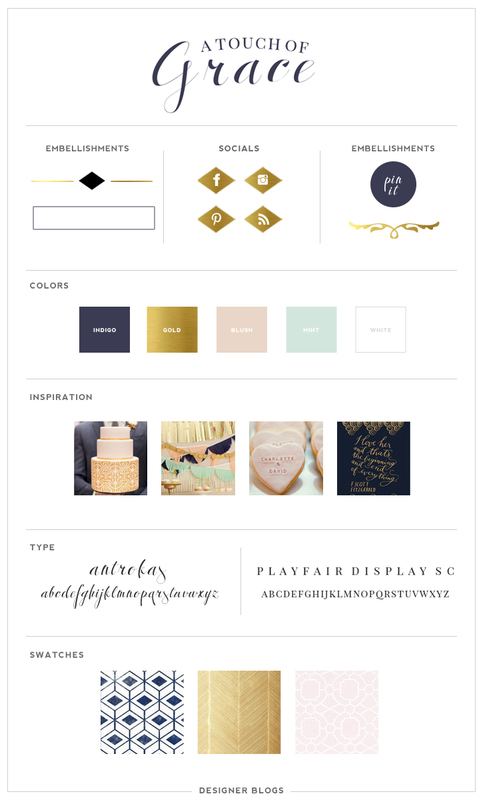 We worked together to identify the style I wanted my new site to be, and she put together an awesome mood board which was exactly what I wanted. Once we’d agreed on the mood board Erika got to work creating my site, and took care of all the content transfer stuff that plagued me for years. 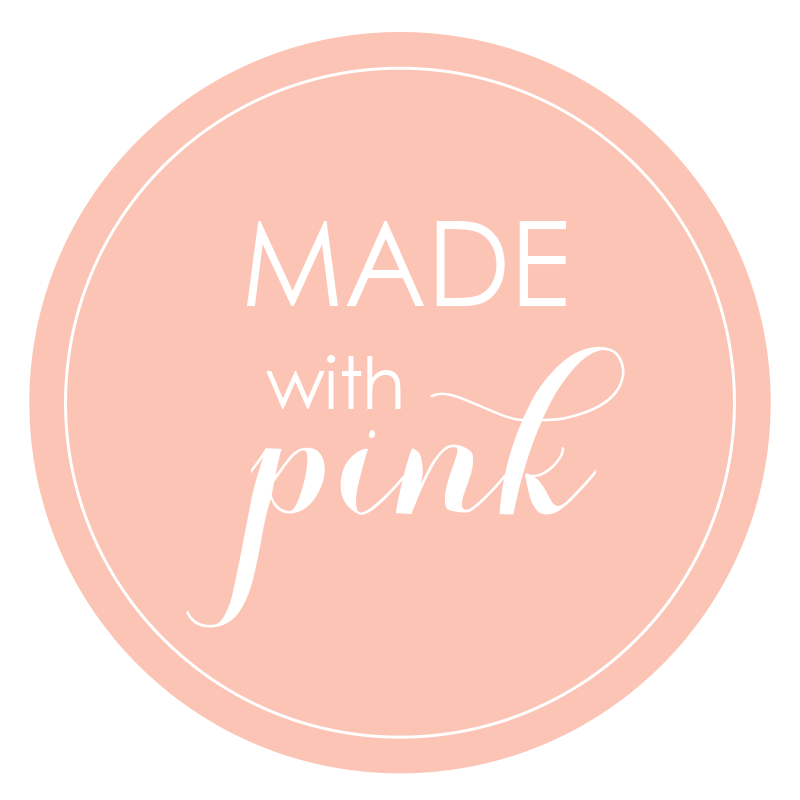 Be sure to hop on over to check out Made With Pink. Your taste buds will thank you.